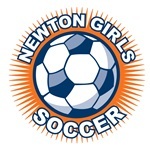 Requests and documentation (for exceptions) should be submitted in writing to registrar (at) newtongirlssoccer.org. Registrants of the Academy and Development Academy programs are NOT eligible for refunds, except in the case of a season-ending injury. If a player has a season-ending injury, she may receive a pro-rated refund. A note from a doctor must be submitted within two weeks of the injury. Only register if you are 100% committed. If a player moves out of Newton and notifies the registrar before the season starts, she may receive a refund of the registration fee, less a cancellation fee. Proof of relocation must be submitted when requesting the refund. Once the season starts, there are no refunds for moves. If a player has a season-ending injury, she may receive a pro-rated refund. A note from a doctor must be submitted within two weeks of the injury. If a player transfers from the Travel program to the City program after the cutoff date (July 1), they forfeit the price difference. The skills development and vacation clinic schedules are subject to minor changes depending on registration numbers and coach availability. If we change the session times or dates, registrants with a conflict may withdraw without paying a cancellation fee. If a player’s team schedules a regular practice at a time that conflicts with the session, you may also withdraw without penalty.